Married couples traditionally put both names on their mortgage, because this ensures that both parties are responsible for the debt. But there's no requirement that both names be on the mortgage, and with many couples marrying later in life, one spouse might have owned a home before getting married. There are a number of reasons you might not want to put both spouse's names on the mortgage, but this decision can affect ownership rights. If one spouse has bad credit, lots of debt or a very low income, then applying jointly for a mortgage loan could actually harm your chances of getting a mortgage. If one spouse applies for a mortgage without the other one, the decision will be based solely upon that spouse's credit and income, which could improve your chances for getting the mortgage approved. Mortgage lenders do not require that both spouses apply for or put their names on a mortgage. Single people sometimes buy homes before they get married, and in this case, a newly married couple would have only one name on the mortgage. There's no requirement that you add your spouse to your mortgage, but if the mortgage, deed and title are solely in your name, then your spouse will not have any ownership rights to the property. It's not the mortgage that determines who owns the property, but the deed and title. Normally, when you apply for and receive a mortgage, your name will automatically be on these documents. 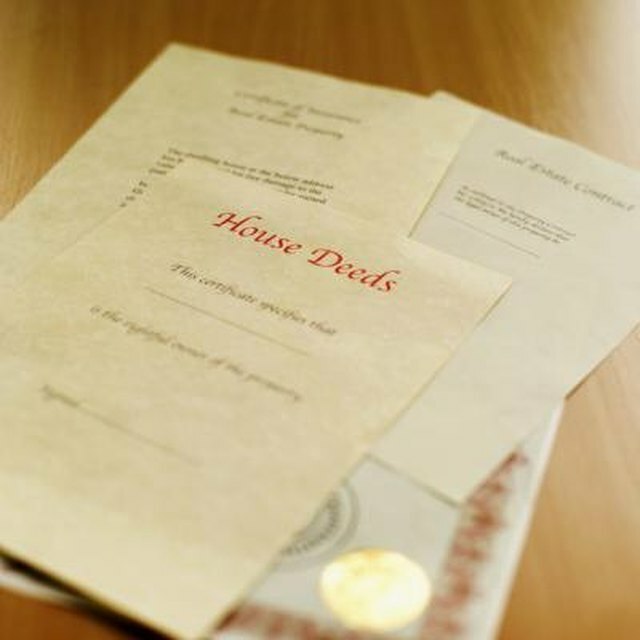 Your spouse, however, can still share in ownership of the home if you add her name to the deed. In most states, you can do this by signing a quit claim deed. If you want to add your spouse to the mortgage after you've signed the mortgage documents, you'll usually need to refinance. In some states, your spouse might have rights to the property even if you don't add his name to any documents, and in a few states, your spouse's name can't be on the deed if it's not also on the mortgage. The party whose name is on the mortgage is the one responsible for making the payments. Thus, if you put your spouse's name on the deed but not on the mortgage, he'll have a right to claim a share of the house, but no obligation to pay the mortgage. If you stop paying the mortgage, it will only affect your credit, not his if his name is not on the mortgage. FHA.com: What is a Non-Purchasing Spouse?